We are Dog Trainers that use Communication and Education to create life changing Results for Dogs and their Owners. We offer Doggie Day School which is an educational and training program for your Dog unlike your typical Doggy Daycare! 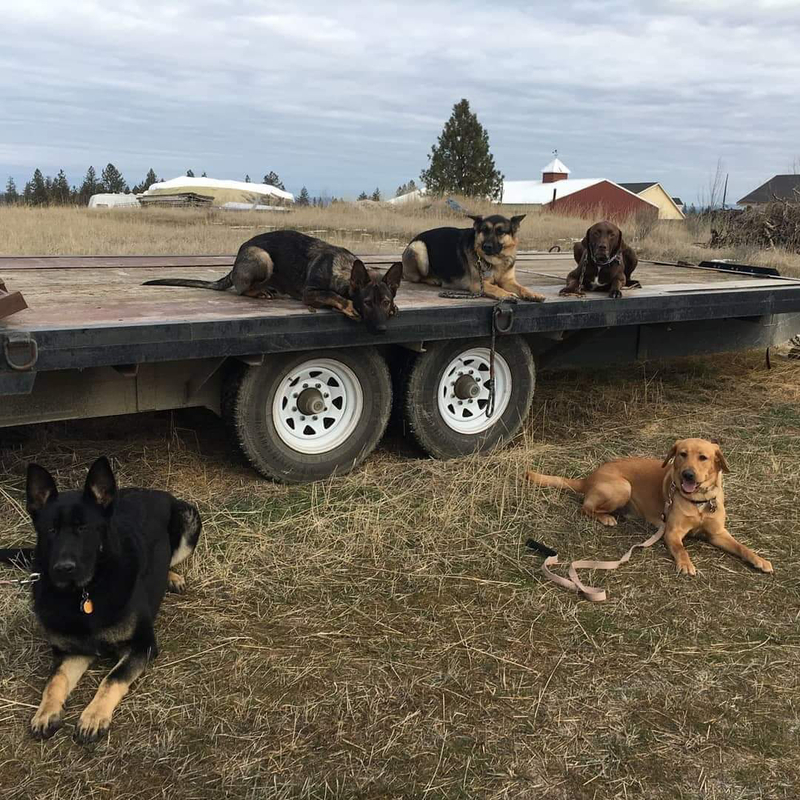 Our 10 Acre Facility in Colbert, WA is only 15 minutes north of Spokane, WA and houses a beautiful kennel and training room, full agility course, tracking field, tons of room to run, play and train, beautiful views and is a working vineyard. We are able to offer fully customizable dog obedience classes, boarding, board and trains, and lots of fun drop in education classes! With Classes offered in Spokane, Colbert, and Seattle - We can offer you the results you need, no matter where you and your dog are located.